In the special economic zone «Technopolis «Moscow», the VIth meeting of the working group on industry and high technology of the Russian-Italian Council for Economic, Industrial and Currency & Finance Cooperation has been launched. It is the platform for the IInd meeting of the working subgroup on cooperation in pharmacy and biomedicine. The meeting is dedicated to discussions of the priorities in cooperation between the two countries towards inspections and securing the quality of pharmaceutical products. Today, within the premises of the technology and innovation special economic zone of the city of Moscow – «Technopolis «Moscow», the Director of the Department of Pharmaceutical and Medical Industry Development of Minpromtorg of Russia Mr. Aleksey Alekhin and the Director General for Industrial Policy, Competitiveness and Small and Medium Enterprises at the Italian Ministry of Economic Development Mr. Stefano Firpo, are establishing the top priorities in cooperation between Russia and Italy within the meeting of the working subgroup on cooperation in pharmacy and biomedicine. As a reminder, the share of Italian products in the Russian market of medicines consistently comprises 1.35%. In monetary terms, based on the results for 2018, the volume of Italian drugs sold within the RF territory was $254 million (with the total market volume of $21.43 billion). absence of continuous particles monitoring (sterile products) throughout the critical process in A zones. Mr. Vladislav Shestakov and Italian colleagues have emphasized close cooperation between the inspectorates: FSI «SID & GP» and the Italian Medicines Agency (AIFA) as the national authority responsible for GMP inspections in Italy. 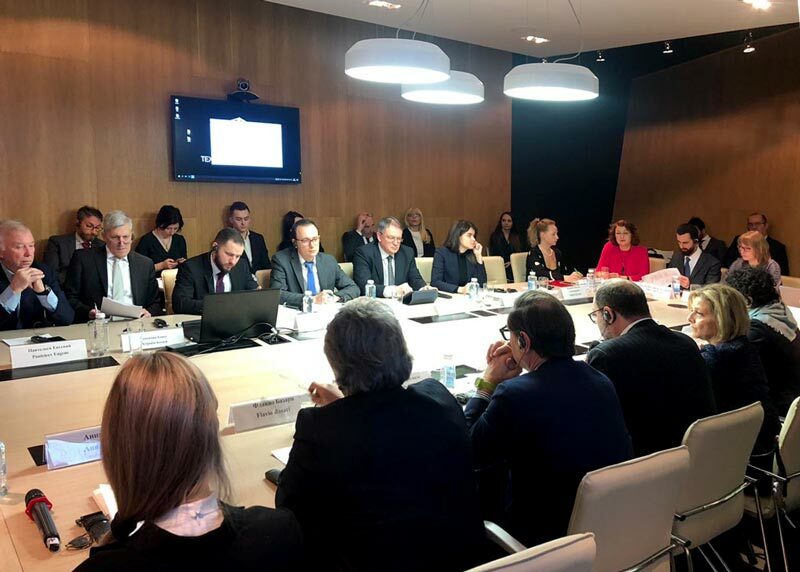 AIFA’s inspectors participate in GMP inspections carried out by SID & GP as observers, and the Italian delegation has shared their impression of these at the meeting of the working group focusing on the professionalism of Russian colleagues and their openness for collaboration. Training GMP inspections are carried out at Italian manufacturing sites. The Italian regulator, having been notified about critical non-conformities found by the Russian inspectorate at local manufacturing sites, is very careful with such observations. «Currently, we are negotiating with the colleagues establishment of the official professional trust-based bilateral cooperation, which, I am convinced, will very soon be finalized by signing a Memorandum of Understanding,» said Mr. Vladislav Shestakov. 2019 © News and other data on this site are provided for information purposes only, and are not intended for republication or redistribution. Republication or redistribution content is expressly prohibited without the prior written consent of external communications FSI «SID and GP».